One of the great things about owning or renting a detached home, or even an attached town home, is having a piece of the outdoors that you can call your own. You can lounge in the privacy of in your back yard or grow a garden of flowers or edible plants out front. However, the flip side to having a yard is that you have to maintain it: mowing, edging, trimming back shrubbery – it’s all hard work. 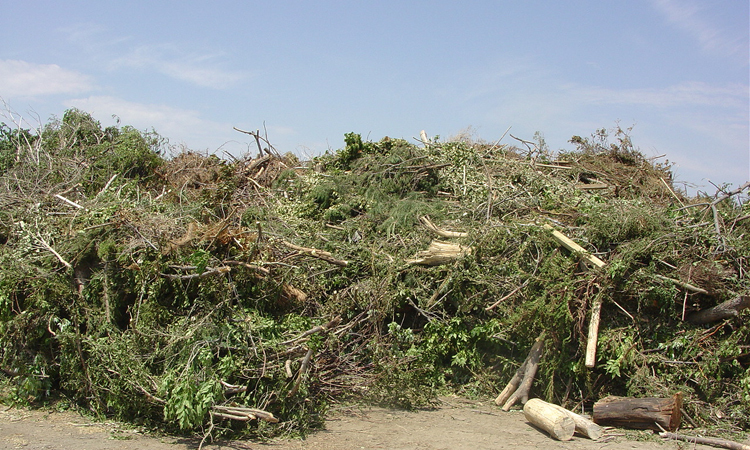 In addition, once you’ve finally whipped the yard into shape, there’s the matter of what to do with the yard waste. Some towns have started requiring special disposal bags that carry stiff price tags for residents who wish to have their yard waste just go away. As an alternative to disposing of your yard waste, converting it into mulch or compost can save you money as well as provide valuable nutrients for your lawn and garden. Gathering up grass clippings or raking leaves can be back breaking work. Even if your lawnmower has a bag attached to capture clippings and fallen leaves, there’s still the matter of periodically emptying the bag, as well as dealing with the collected scraps. A special mulching lawnmower can shred grass clippings and leaves into a fine powder that settles into the soil and disappears from sight. No more raking or bagging lawn scraps for you, plus the mulch will discourage weed growth and minimize erosion. If you don’t have a mulching mower, or if you would like to create a large quantity of mulch to apply around tree roots and in your garden beds in your yard, you’ll need to undertake a serious mulching operation. Set aside a corner of your lawn where you can collect yard scraps for mulching. As you mow your lawn or trim back your trees, garden plants and shrubbery, break down the yard waste into small pieces and place each new layer of scraps over older layers. Turn the pile periodically to ensure that the mulch decomposes at an even rate. Composting allows you to accomplish multiple goals. Just as with creating mulch, composting allows you to dispose of yard waste in an environmentally responsible manner. However, with composting, you’ll also decrease the amount of food scraps that wind up in the waste processing system, and you’ll create a rich source of fertilizer for your garden or lawn. Composting requires a small or medium sized container with a lid, or a tumbler that can be rotated. Along with yard waste, you can include uncooked food scraps, egg shells, coffee grounds and even manure. It’s also good to add cardboard from cereal boxes or toilet paper rolls. You’ll want to locate the composting bin away from your house to minimize exposure to unpleasant odors or flies, but close enough so that it’s convenient to carry scraps from the kitchen. Place everything you wish to include in your compost along with a small amount of water, and then close the lid. Turn the material or rotate the tumbler once every week for several weeks. You’ll know the compost is ready when it loses its rotten food odor and just smells like rich, good soil, which is precisely what it is. This is super! thank you for reminding me, at my lower grades we were told about this but never used it, I am going to save my husbands trip after cutting the grass, to the landfill, if in fact he takes it there.